If you have confessed The Lord Jesus Christ as your Lord and Savior then you have a valuable and a unique story to tell. We live in the age of Social Media. In the age of Social Media everyday ordinary people now have the access to direct products and to star in every aspect of their lives. In short, we now have the ability to tell any story that we see fit to tell. All one needs to do is to log on to Facebook, Twitter or Instagram and you will see people telling their life stories through pictures, sound bites or thirty character tweets. You will see people posting pictures of themselves and their spouse having dinner or enjoying a movie with the caption depicting how much they love one another. They are trying to tell a story about how lovely their relationship is and for some reason, they want to convince the viewers of that fact. Or you may see through social media a family welcoming a new baby to the world and they want to tell that story. You may see on a social media platform that someone wants to tell a story of how someone has wronged them or disrespected them in some shape form or fashion. The point is most people have a story to tell about something someone or someplace. Since we have become a culture of storytelling via social media I want to challenge those of us that have a saving faith relationship with Christ to tell the most captivating, rewarding and valuable story that you have experienced, the story of Salvation. Pastor Joseph R. Fields was called by God and affirmed by the Church including local and nationwide ministries. He is biblically studious, disciplined, energetic, and a visionary; he possesses a record of service, a heart of humility, and a model of family leadership. 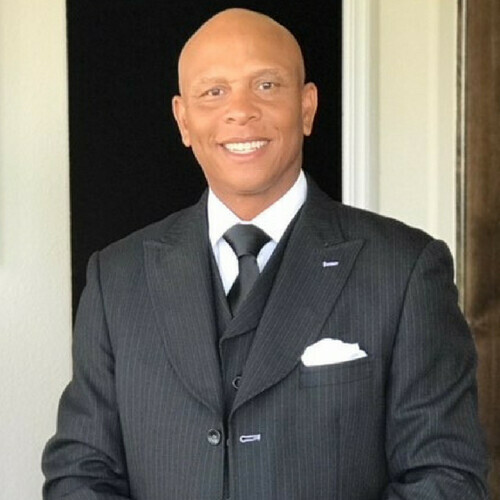 Pastor Fields received his Theology and Advanced Theology Degrees from Southwestern Baptist Theological Seminary in Ft. Worth, Texas in 2007. As a preacher of the Gospel and a proven follower, he was called to plant New Beginnings Church in 2009. Prior to serving as pastor of New Beginnings Church, he served as Youth Minister at Westside Baptist Church for seven years. While working as Youth Minister, he also was Dean of Students for the Super Summer Youth Camp Texas Baptist (2002-2004). He was the founding Director of Camp Exalted Youth Camp for the African American Fellowship Baptist General Convention of Texas and provided leadership in that role for 5 years. He also served as a Ministry Multiplier for Lifeway Publication where he traveled the country teaching Youth Ministry Development and Church Leadership curriculum. Pastor Fields continues to be a light in the community by serving and sharing the love of Jesus Christ. He currently serves on The Mission Funding Council for Texas Baptist, The Board of Directors-The Vision Team for Denton Baptist Association, and Evangelism Council Texas Baptist (2010-2014). From 2016-18 he served as 1st Vice President of Texas Baptist (BGCT), where he worked to reach across ethnic lines to bridge the gap to relate with people of all ethnicities and support Texas Baptists’ cooperative ministries. He and his wife, Shanta, have two children, Austen and Courtney.